Crank out to provide its own awning if raining. Black finish only. 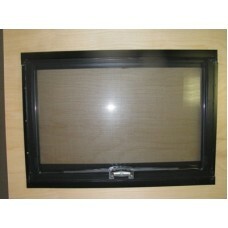 The 12x18 window pictured is no longer available and isreplaced with a 15x18 cranks out with radius corners and black glass. Pictures to follow. You can order this window as an upgrade to ..